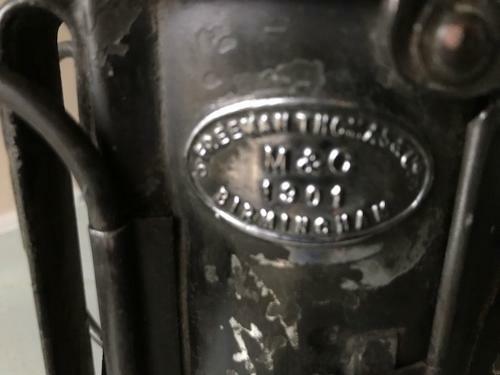 Late Victorian Policeman's Lamp marked Freeman Manufacturer Birmingham 1901. Overall condition very good. Complete with burner and Bullyseye lens in good condition. Could be fixed on a bike fron underneath. The brass lever allowed the light to be shut off by sliding a curfew without turning the lamp out. Folding handle, again more unusual and a nice feature.